How did the LIRR pick the names for the Parlor Cars? 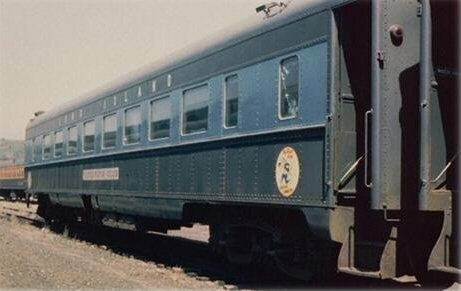 1911 - Built new for the Lehigh Valley by Pullman as baggage club car LV 1000. 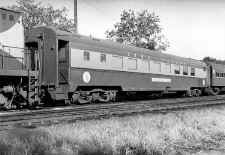 1929 - Rebuilt by the LV to a full club car. 1939 - Rebuilt by the LV in 1939 for assignment to the "John Wilkes"
1953 - Rebuilt by the LV with 24 dining seats and 22 club seats. modernized with streamlined appearance. 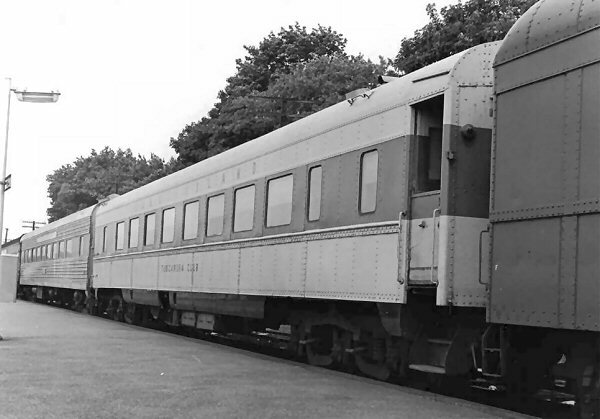 1961 - Sold to LIRR, 08/1961. No. 2005 before being reassigned No. 2037, named TUSCARORA CLUB Note 1. 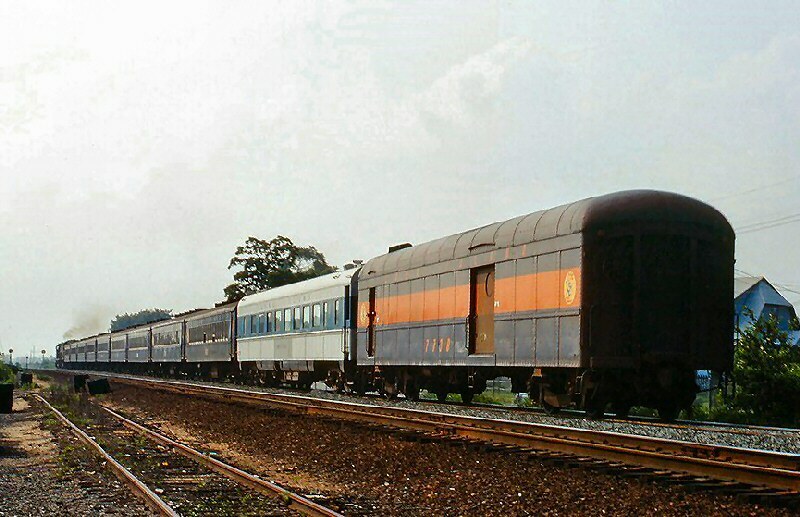 1972-4 - Retired. Sold to private owner. 1974 - 2008 - Car is part of a restaurant complex in Marietta, GA.
2008 - Oct. 29th - Sold at auction for $423, future plans of her owners are as yet unknown. Note 4. 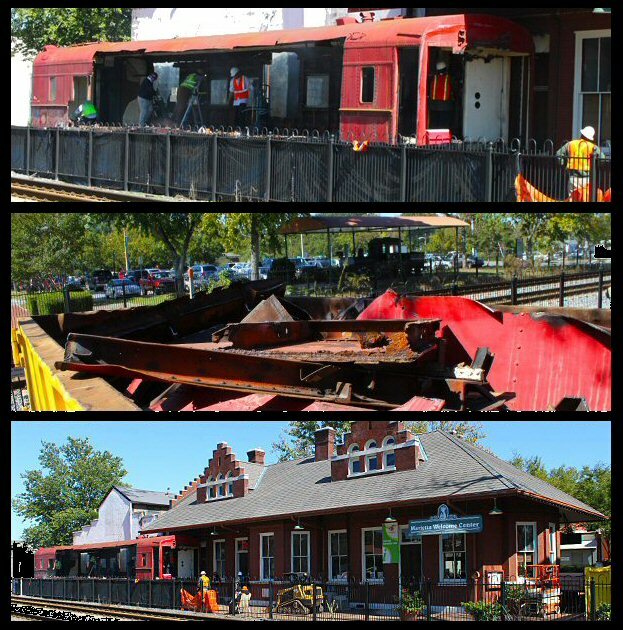 2009 - Oct. 16th - The car is scrapped in place, never moved from the restaurant in Marietta, GA.
a POTUS special train, she saw service under 18 Presidents from William H. Taft to Barack H. Obama. 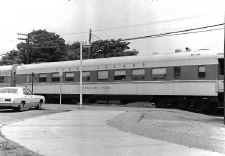 "In August 1961, the LIRR purchased Lehigh Valley # 1000, an arch-roof diner with an aluminum kitchen and a charcoal stove. During the late 1961 summer season, it saw brief service with white-coated waiters on train # 28, "The Weekender." The car was later named TUSCARORA CLUB. 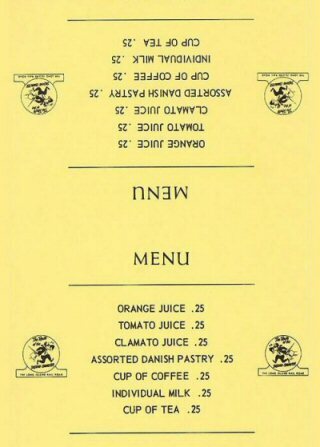 Dining car service was upgraded for its inauguration during the 1962 season. 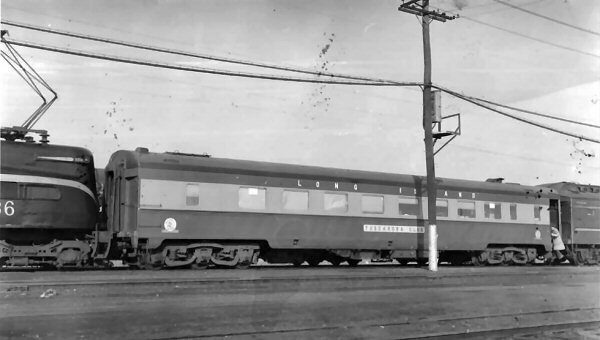 Service was offered on Fridays on train # 26, "The East Ender." On Sunday evening, it returned to the city with full-course dinners available. At other times, when the car was in service, evening snacks and continental breakfasts were served." "The 2 entrees were Fresh Roast Turkey and Fresh Roast Beef with the trimmings." "The Route of the Weekend Chief", by Mike Boland, published in the Autumn 1995 issue of The Keystone. 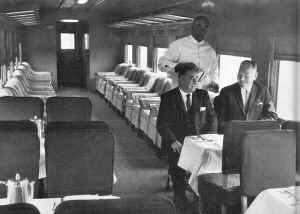 "At the end of the 1964 season, dining car service was discontinued. While it was a clever idea, it was an expensive proposition. McNamara went ahead with it because his able assistant, Willie Wilson, oversaw its operation. Unfortunately, it turned out to be more trouble than it was worth; the railroad was not adequately prepared to operate it. Stocking the car with provisions for two dinner runs a week that began over 100 miles apart (Jamaica and Montauk) proved to be too difficult. Still, it lasted for three seasons and the car was used as a 48 seat lounge after its kitchen was closed." 2008 - The owner of the former restaurant needs to sell the car, the city of Marietta told her they want her to get rid of the car, claiming it is "deteriorated, unsightly and detracts from the community." The owner puts out pleas to the railfan community, asking for help in finding it a home, and letting us know the car needs to be sold at auction. Tuscarora Club trailing unit inbound. 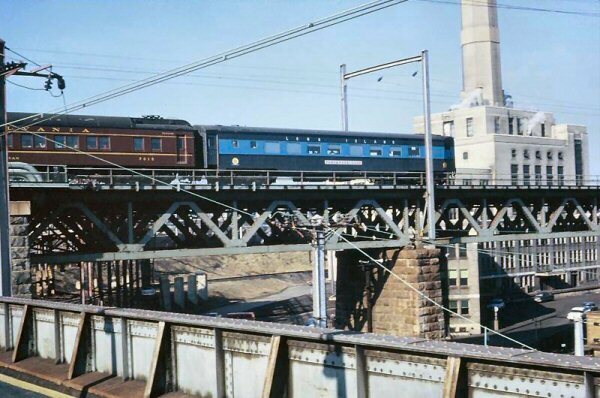 The photo (left) was on the High Line, which is the freight by-pass for 30th Street Station in Philadelphia, PA. 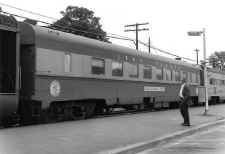 It was also used by Passenger Extras that did not stop at 30th St. Station. 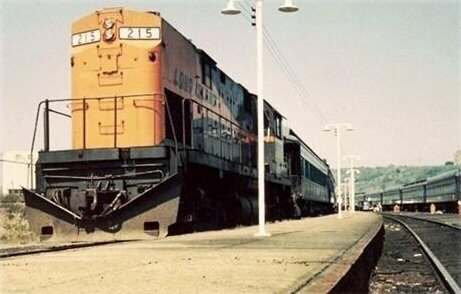 The train was headed inbound to the Philadelphia Stadium Yard. The game was usually played the last Saturday in November. Moved to first Saturday in December a week later in 1963 due to President JFK's assassination. 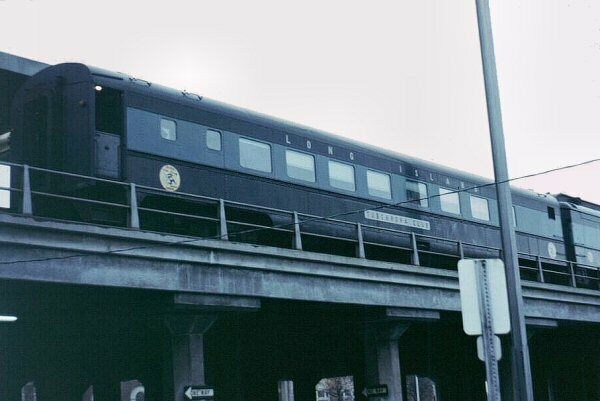 This MAY be the return run of eastbound Montauk train #4 (photo left) which I believe was #9. 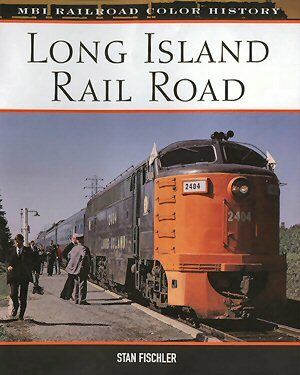 It headed east thru Patchogue somewhere around 9:30 am with a baggage car and parlor. If this is the Montauk train, it's taking the Central branch west. 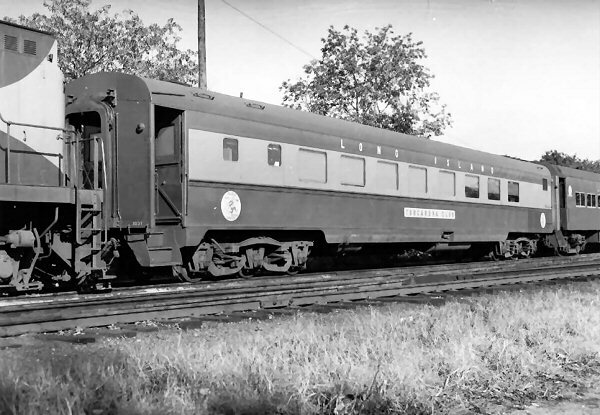 #204 went east to Greenport in the morning with a baggage car but had no parlor. It returned as #211. 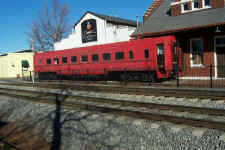 TUSCARORA CLUB as part of the American Flyer Cafe, alongside the CSX mainline in downtown Marietta GA in 1993. � For more information on the history and noteworthy reference in publications, see this document. Condition = 3 Sold as pictured, item has not been tested. We have made no attempt to evaluate this merchandise other than picturing it. 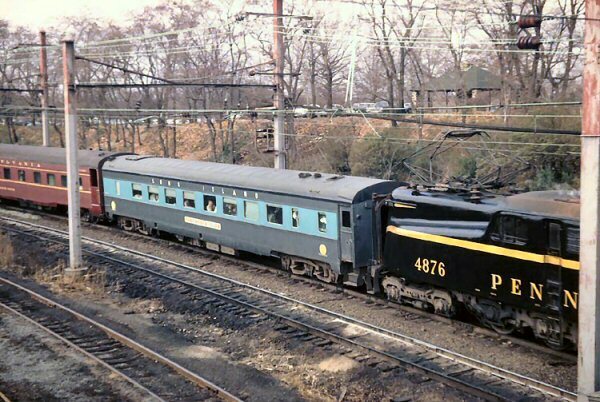 "Tusacarora Girl" says the Genessee Valley Transportation Company, owner/operator of several shortlines in New York and Pennsylvania, have purchased the former LIRR 2037 ONTEORA (previously named TUSCARORA CLUB) from her. 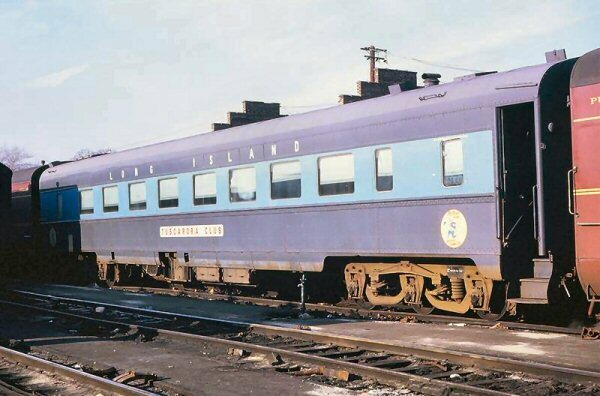 Congratulations to the folks at GVT for saving a 98 year old modernized heavyweight passenger car with a long record of service on LV and then LIRR, 1911 thru 1974! 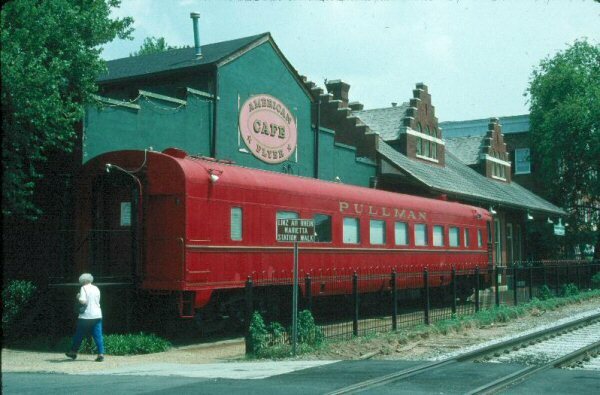 The Pullman railcar remains next to the railroad tracks off of the Marietta Square. Upon CSX approval, the railcar will be demolished by Atlanta-based Winter Environmental. 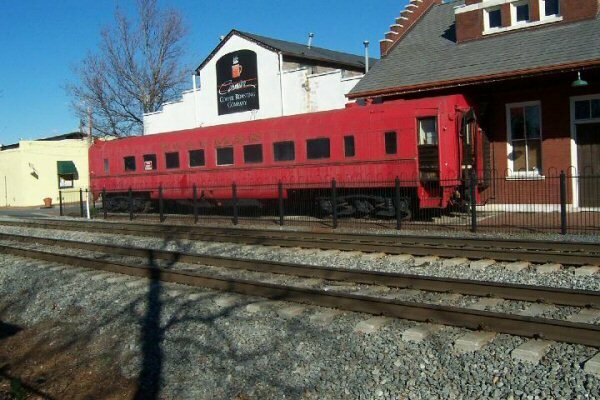 Update: John Deasy 08/21/2009 It appears that the former LIRR 2038 TUSCARORA CLUB, later ONTEORA, "stuffed & mounted" in Marietta GA since the mid 1970s, has come to the end of the line after 98 years. The new owner, a professional railroader, had it inspected and determined the car is beyond economic relocation and repair, so he has called a scrapper to cut up the car and dispose of the pieces, since no one has come forward to say "I want it ... and all the complex legal liabilities that come with it." MARIETTA - The owner of the 1917 Pullman railcar on Marietta Square has hired a firm to demolish the car, city officials said. 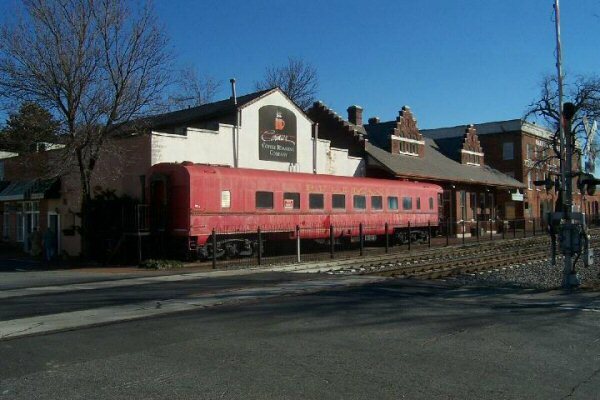 Brian Binzer, the city's development services director, said the owner is waiting on approval from CSX before moving forward with the demolition because the railcar is on CSX right of way. Once approval is granted, demolition by Winter Environmental of Atlanta should take about two weeks, Binzer said. The demolition plan is to cut the railcar up with power saws or a torch and deposit the pieces into dumpsters, according to documents submitted to the city by Tim Egan, vice president of Winter Environmental. CSX representatives in Jacksonville, Fla., could not say how long an approval might take. 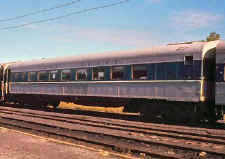 The city cited railcar owner Michael Thomas of Genesee Valley Transportation based in Batavia, N.Y., with a code violation May 29 for failing to repair or remove the railcar as ordered. 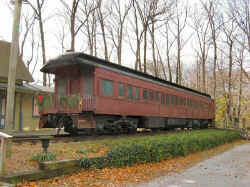 But unlike the railcar's previous owner, no fines have been handed down yet from Marietta Municipal Court, Binzer said. "Because the owner has been taking appropriate actions to resolve the situation, the court has been working with the owner to bring the property into compliance. The owner has been cooperative and presently continues to comply with what is needed, including just recently making the application to CSX. Code enforcement and the courts will continue to monitor the situation to ensure the owner takes the necessary actions to stay on course, Binzer said. The city went through the same process with the railcar's previous owner, Dr. Arva Lumpkin-White, a dentist with the Vinings Center for Dentistry, last year. The railcar was brought to the city in the 1970s and used as a dining room for the former Depot Restaurant, at 31 Mill St., for years. Lumpkin-White bought the property, which included the railcar, in 1991. After Councilman Van Pearlberg complained about the state of the railcar last summer, the city pressured Lumpkin-White to repair the car. On Nov. 19, Lumpkin-White pleaded no contest to violating city property maintenance code and was fined $1,000 in Marietta Municipal Court with a suspended jail sentence for failing to repair the car. 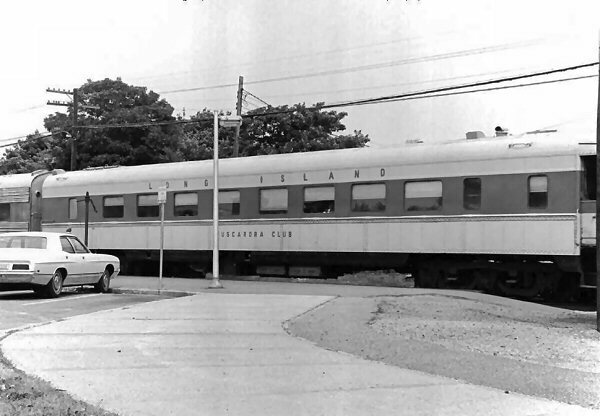 This car was on a fan trip 09/30/1962 to Montauk. 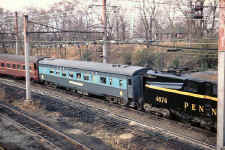 The consist was - FM #2404, heavyweight parlors: "Tuscarora Club", "Manhasset", "Commack" and Observation car "Jamaica". The next photo is of the "Ebb Tide", taken that same afternoon prior to its westbound departure from Montauk station. 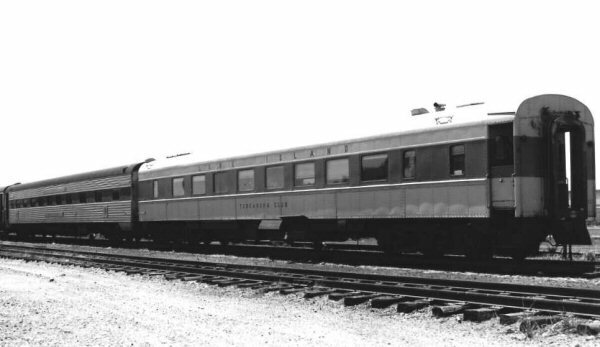 Tucked behind Number 215 is one of the railroad�s open platform observation cars. Off in the distance, you can just see a small truck loading provisions aboard another parlor car. 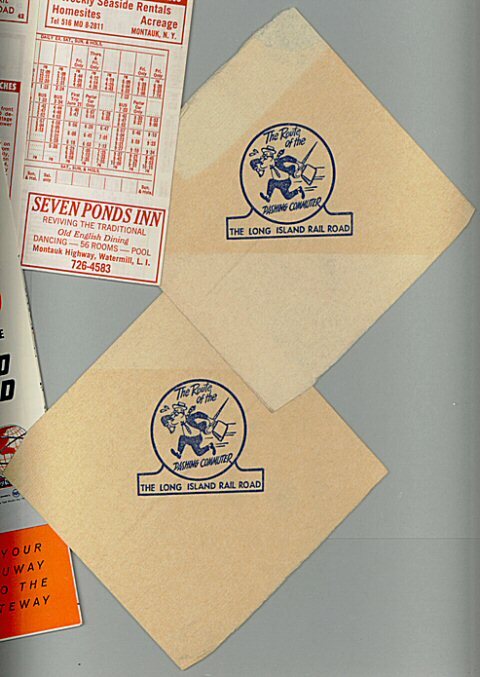 These are two napkins that I picked up off the ground alongside Tuscarora Club when my Dad and I were in Montauk taking the photographs above. I�ve kept these ever since that day in 1967, and � remarkably � they�ve fared very well over all this time. Last year, to better preserve them, I've mounted the napkins in a special �see-through� frame that consists of two glass panes. I took a chance and scanned them as framed�the result was better than I anticipated!